A thought provoking report - 'Angles and Inclusivity'. This weekend’s Pacific NorthWest One Design (POD) regatta , Seattle, USA, was an exceptional event in terms of race management and conditions and this racer is honestly proud of the high quality racing that again characterized our yacht club. 11 RS Aeros shared a racecourse with Stars, 505s and a couple of Lasers. We spent nine hours on the water and sailed eleven solid races over the weekend. Our weather mark was set 1/2 mile out. Our starting lines were square, the weather mark was dead upwind, and the races lasted 45 minutes. 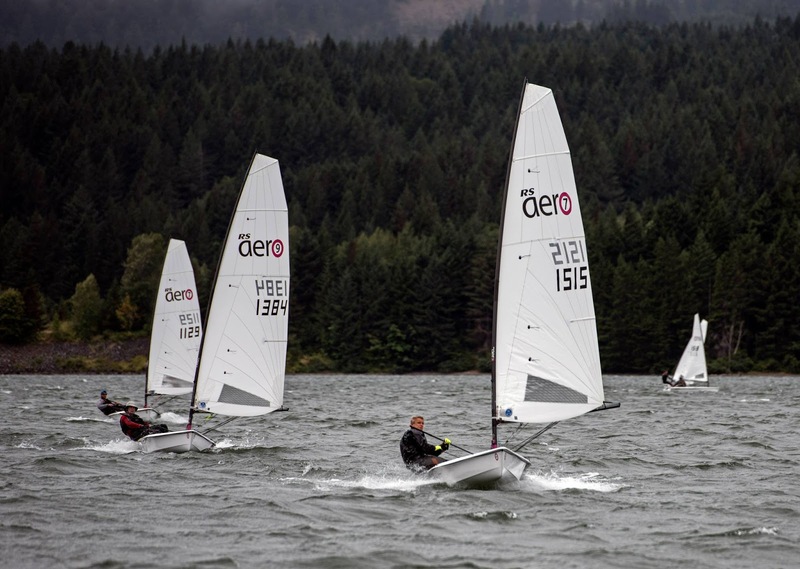 All of this is to say that we racers were treated to race management that jet the level of many regional and national level regattas and served as a great warm up to this summer's RS Aero US Championships at the Cascade Locks in August. It's clear that we are still learning the boats and that we have a long ways to go in optimizing our sailing techniques for given wind ranges. For example, Todd Willsie was sailing very high upwind sailing angles in light to moderate air that none of us other sailors in his same weight range could match. He had solid beats as a result and scrubbed many of us off his weather side in the initial minutes of races. When asked about his technique, he said, "The boat can just point. I sheet in tight, steer carefully through the waves, and just point." That really didn't solve the problem for this sailor, and I was totally relieved that the wind freshened well into the teens on Sunday, conditions I have always favoured. It was also interesting to see David Brink making a 9 rig work in 15 knots plus. I don't think he weighs even 175lbs, and he definitely suffered on the weather legs. However, once around the top mark, David was the only one of us to sail rather hot reaching angles and make them work on the run. In 15 knots of breeze, while the rest of us were catching waves and carving our good old fashioned "S" turns, David was reaching at hot angles, having way more fun, sailing in far greater comfort, and blasting through much of the fleet. I think we all need to sort out when to change modes in order to take full advantage of the boats reaching potential and spending more time with the kind of huge smiles David wore this weekend. One final note. While the weekend left me tremendously fatigued, I was glad to have been pushed hard by the race management this weekend. However, fleet growth is not necessarily fostered by such physically demanding regattas. It's my guess that our local fleet will continue to grow so long as we continue to balance events like this with less strenuous sailing like our Thursday night series and frostbiting. We would also likely benefit from a few of us leading the way in gatherings at Cascade Locks [The Columbia River Gorge] and Sunday Fundays at Shilshole bay, Seattle, in order to share the joys of this fine boat with the folks who are just getting started or just returning to dinghy sailing from a long break. Next up on the RS Aero North American Calendar is the Alamitos Bay Regatta, California, on the May 28/29 followed by the Wickford Regatta, Rhode Island on June 11/12.